What if I told you creating more backlinks for your website was as easy as meeting some new people? Well, it is! Taking time to reach out to others and build relationships is a great way to create some of those precious links everyone involved in online marketing is striving for. While others think the road to link success is paved with complicated algorithms and extreme tactics, achieving true results can often be accomplished through a much more simplistic approach. Taking time to pick up the phone or send an email can be instrumental in skyrocketing your ratings and can help build your quality SEO links. Who to partner with will vary depending on your unique situation but is typically determined by your industry. I often use the analogy of a color palette. It is typically not beneficial (and extremely difficult) to partner with another person who is your exact same color. Direct competition is never your best friend – literally. Rather choose those within one or two shades of your color. Look for these people in closely-related or similar industries. For example, if you own a dog walking business your local pet shop would be a great connection. If your business is blogging about home decorating collaborate with an online home goods retailer. The key is to stay within the realm of your industry. 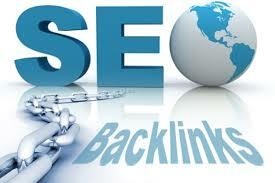 Links from sites with similar content is more beneficial than from those which are completely off-topic. To forge a relationship with a linking partner, you need to employ some old school social skills. An easy way to start the process is through email. Write the prospect a message which tells a little about yourself, why you think they would be a great partner, and what you can offer in return. Always include a link back to your website so they can check it out for themselves. Another great strategy is to attend trade association gatherings both local and national. Helpful friends can be made both close-to-home and halfway across the country. When in doubt, using a simple phone call or in-person visit can both be beneficial. Although awkward at first, these strategies often result in the most lasting relationships. Local Trade Groups or Associations – This partnership packs a mighty double-punch – not only do you create some valuable links but also get to meet others in the field. Contributing Writing Gigs – Guest blogging or contributing a regular article to a newsletter are both great ways to get your brand (and you) out there. Reaching an audience you might otherwise miss, this strategy helps strengthen your writing muscles while building brand awareness. Make sure each submission contains a link back to your site. Joint Promotions – Partnering with another to run a promotion or contest can be a great strategy for building links to your site. To draw even more traffic, consider involving more businesses with a larger giveaway. Each site then includes links to the other’s pages. At GMS, we value building strong relationships with our customers. Taking time to design a clear strategy for your success, our team of marketing specialists has experience working with businesses both large and small from a number of industries. Let us create a marketing program right for you.